How much is Jim Jefferies Worth? 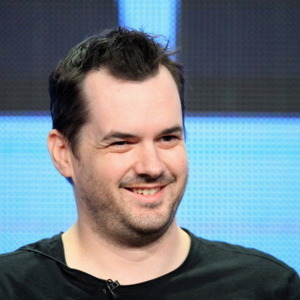 Jim Jefferies net worth and salary: Jim Jefferies is an Australian comedian, writer, and actor who has a net worth of $9 million. Jim Jefferies was born in Sydney, New South Wales, Australia, and began his stand-up career in Australia. While performing at the Manchester Comedy Store, he was attacked by an audience member. The attack brought him international exposure and the entire incident was later incorporated into his comedy routine, including video footage of the event. He went on to appear in a popular stand-up special on HBO, which made him a hit in the United States, as well. Since then, he has appeared at multiple festivals, including the Edinburgh Fringe Festival, the South African Comedy Festival Cape Town, the Glastonbury Festival, and on television programs such as "Never Mind the Buzzcocks", "The Heaven and Earth Show", and "8 Out of 10 Cats". He was also a frequent guest on "The Opie and Anthony Show" before that show was disbanded. From 2013-2014 he starred in the FX comedy series, "Legit". He was also the creator and executive producer of Legit. Starting in 2017 he began starring in his own Comedy Central series "The Jim Jefferies Show".